Cloud9 vs Royal Never Give Up. Cloud9 was never expected to win this matchup, They had a good run during the Play-in stage, but this matchup, in particular, was seeing the NA team in over its head. The Cloud9 team had a good start especially with Licorice on the top lane getting a lot of space. He was even able to get solo kills and ensure a great positioning and item advantage for Cloud9. However, it was a calculated risk by Royal Never Give up. They kept getting Uzi enough space for him to get big. I guess this is what a main region vs wildcard should look like ???? Uzi has been the superstar performer on this roster for some time. His ability to carry the team forth is exactly what makes Royal Never Give up one of the strongest teams at the Worlds. And true to his nature, Cloud9 simply did not have a reply to Uzi. He was miles ahead of Cloud9’s sneaky and it was evident in their items as well as statistics. Royal Never Give up are now 1-0 in the Group stage. The Group stage will see each team play against the others in the Group twice. So there is still a lot of space and scope for teams to turn their fortunes around. This match saw a huge upset as Team Vitality were able to take down Gen.G in their opening match at the Worlds. 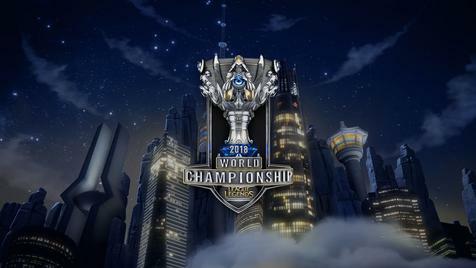 Gen.G are last year’s World Champions and are a very strong team in their own right. However, it is Team Vitality which takes the lions’ share of the credit for his performance. The team is widely regarded as one of the worst European team in attendance. They are without a doubt one of the biggest underdogs in this year’s World Championships. The Ekko pick by Vitality was a huge fan favourite as it has been quite some time since that hero is seen in a professional match. The opening match was more of Gen.G making mistakes than Vitality playing exceptionally well. Regardless, it was due to Vitality’s gameplay that they were able to capitalise on these mistakes and ensure a victory in the end. Team Vitality did not play Gen.G’s game. They had a very aggressive playstyle which did not accord the ‘respect’ to Gen G that other teams usually put forth. This put Gen.G out of their comfort zone and the result is there for all to see. Ruler did have a good game and his arrows were on point. We saw the display of raw individual skill on the Gen.G roster. However, in the end, Team Vitality controlled the pace of the game and ensured their victory.